Choosing a wedding venue is arguably the most important part of planning your wedding: it is the starting point so you can organise all your decorations, transport logistics, and accommodation. Although it can be challenging, it’s also one of the most fun parts – once you find the perfect venue for you, you can really start envisioning the wedding of your dreams. If you are thinking of celebrating your wedding in romantic France, Perfect Venue has put together some of the best wedding venues in France to help you start your search. France is famous for its amazing chateaux, and there are so many beautiful ones to choose from for your Big Day. A special one we love is called Chateau de la Victoire, which was built in the XIX century and where Queen Victoria used to spend her holidays! So you can be sure to feel like royalty here on your wedding day. It is situated 2.5km from Grasse, which is close to the cities of Nice, Cannes and Monte Carlo. Chateau de la Victoire the perfect place for the wedding of your dreams. It has incredible views and surroundings for your wedding photoshoot and you can choose to spend your wedding outdoors or indoors, or a bit of both! It has a spectacular room called “the Grand Ballroom” perfect for the reception and dancing, and there are 7 bedrooms to accommodate some of your guests. It doesn’t get much more regal than this! Castle des Girards is located in Auvergne-Rhône-Alpes, surrounded by incredible mountains, which makes it a venue perfect for a fairytale wedding. There are 6 bedrooms and 6 bathrooms perfect for accommodating guests, and there is also an annexed building and another apartment close by to accommodate 22 more guests if you require. It is a luxurious castle with a large wedding hall, which can hold up to 100 people, perfect for your reception reception and an amazing terrace if you wish for an outdoor ceremony. The interior is warm and cosy, and the reception rooms are very bright and welcoming. Outside there is also a pool, spa and terrace which make the castle even more luxurious. Villas are also becoming a popular choice of venue, and in France you are spoilt for choice of beautiful villas for your wedding. Villa Repos, located near Saint Tropez, is very luxurious, with lots of stunning outdoor space and a bright, charming interior. The outside space is fantastic for weddings, with two big courtyards, a swimming pool and magnificent gardens. The villa even has a private chef to prepare your wedding meal! Villa Repos also provides accommodation for around 12 guests and there are plenty of activities nearby for you and your guests to do, such as horse riding and various water sports, if your wedding will take place over a few days. Another villa we love is practically a regal stately home. This villa is called La Croisette and is located in Cannes. It was built in the early 20th century, and has been completely restored to accommodate luxury weddings, yet it still has its traditional charm. The outdoors are very impressive, with a huge swimming pool, jacuzzi, and beautiful gardens, so you can celebrate your wedding in the midst of stunning surroundings. There is also space for al fresco dining on the terrace, where you can organise a wedding dinner for up to 90 seated guests. The interior is also incredible. A magnificent staircase welcomes you into the hall, which is a perfect spot for some of your wedding photos. There are a few luxurious reception rooms, perfect for a cocktail receptions, as well as 11 comfortable bedrooms and 7 bathrooms. This would be an amazing location to celebrate every part of your wedding! Both luxurious and unique at the same time, a yacht could be the perfect choice for your wedding venue. The Josephine yacht is located on the river Seine in Paris with views of the Eiffel Tower, and where could be more romantic to celebrate your wedding than the city of love? The yacht has a contemporary style, and can hold up to 60 people on the dock where you could celebrate your ceremony and reception and there is space for 8 people to stay the night. 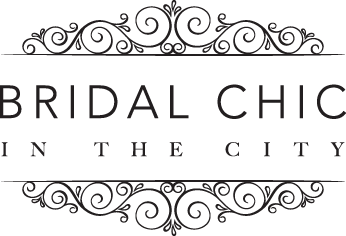 Finding a venue for your wedding can be a difficult, complex task, however at Perfect Venue we simplify this task for you. We have a selection of some of the most luxurious venues for weddings and other types of events across Europe, where you can filter by country, price and type of event, making it even simpler for you to find your perfect venue. To start your venue search, visit perfectvenue.eu.